It was a technological crisis in an alien realm: A blown-out oil well in mile-deep water in the Gulf of Mexico. There had never been anything like this in human history: a runaway well in the deep sea, where the extremes of pressure and temperature confound the usual solutions. For the engineers who had to kill the well, this was like Apollo 13, a crisis no one saw coming, demanding years of innovation on the fly and resilience in the wake of multiple failures. 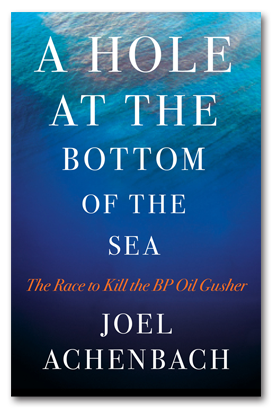 A suspense story, a mystery, a technological thriller: This is Joel Achenbach’s groundbreaking account of the Deepwater Horizon disaster and what came after. The tragic explosion on the huge drilling rig in April 2010 killed 11 men and triggered an environmental disaster as a gusher of crude surged into the gulf’s waters. BP engineers and government scientists—awkwardly teamed in Houston—raced to devise ways to plug the Macondo well and avoid a second, and even more catastrophic, underground blowout. 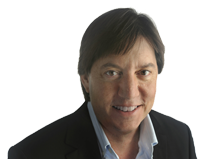 Joel Achenbach is a staff writer for The Washington Post and the author of six previous books, including Captured by Aliens and Why Things Are. He has been a monthly science columnist for National Geographic magazine and a commentator on National Public Radio’s Morning Edition. He lives in Washington, D.C., with his wife and three children.